A HDMI cable will work to connect a tv to a computer. One end goes on the port on the TV and the other end goes on the port on the computer. This is a guide about projecting a computer onto a television screen. My only splurge is yoga class. At first, teachers came over and corrected my alignment often. It was worth the price. Five years later, not so much. 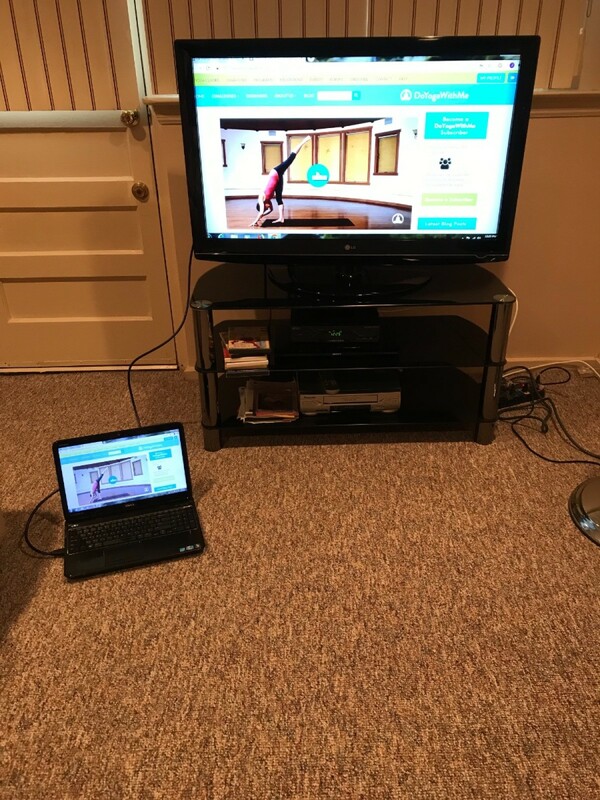 I read about yoga classes on the computer, but the screen is small. I knew there had to be a way to hook up the computer to the TV screen. I looked it up on YouTube and they said an HDMI cable would work. One end goes on the port on the TV and the other end goes on the port on the computer. I got one on Freecycle and it worked perfectly. 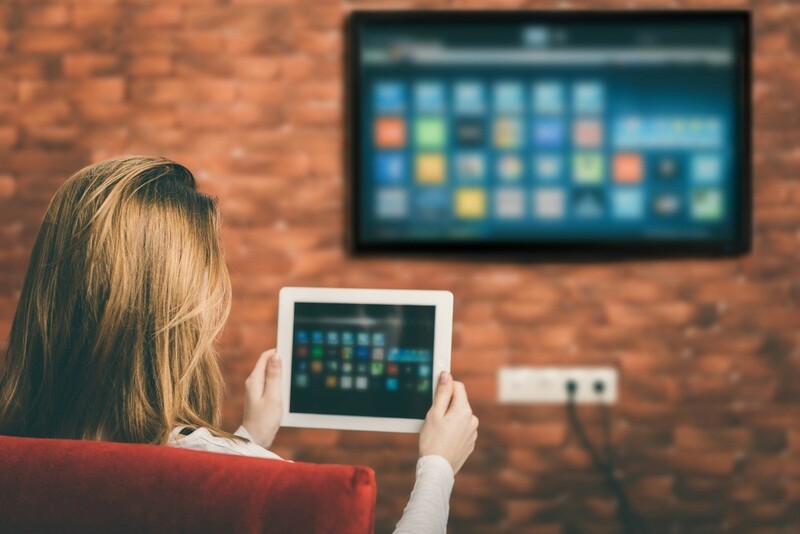 Anything you can watch on a computer can now be viewed on the TV. The savings from stopping my yoga classes will be considerable. I am really happy. I am hoping all of you computer savvy people can help me out. I have an Acer Aspire 4315-2490 laptop with an LCD screen which is faulty. I was wondering if I can get some sort of cable or wire or something to plug it into my TV and use the TV as a monitor instead of my faulty screen. I don't use it outside the house and have a router to take internet from my son's DELL desktop which is very near the TV (in the same room). I have cable internet. I don't even use the mouse of the laptop as I have an external mouse plugged into the laptop since its more or less always in the same place. I don't have cable on this particular TV, its only used for my son's Playstation2 games. Getting a new screen is very expensive and I feel since the computer was a cheapo, its hardly worth it. I don't use it for much, only to check my emails and occasionally to browse the internet. We use the DELL desktop for important stuff. Many thanks in advance for any help or suggestions. Depends on the TV, and depends on the computer. Newer tvs have what is called an "S-Video" input. It's a little round port; usually on the back or the side next to the a/v inputs. Most laptops and newer computers have the "S-Video" output. You can connect the two by getting an S-video cable wire to link the computer to the TV. Now to get it to show up on your TV: look for the "input" button (sometimes it says "source"). Scroll until you find the one that says "S-video" you should immediately see the image on your computer show up on your tv. Use the keyboard and mouse as usual. This option is great; you can watch veoh.com; hulu.com, netflix (if you have it); watch dvds, check email etc. Some channels like cnn have live streaming. But if your TV does Not have an S-Video input I'm not sure what you could do, but check the s-video option first. Hey, other thrifty fun fans; try this out. Can I link my TV to my computer so I can watch movies I view via my high speed computer internet connection? It's a desktop computer, not a laptop, and I have a great TV and could watch movies all comfy if I could just use my TV as a monitor. Is this possible? I have a subscription to a movie site to instantly watch movies on my computer, and my broadband internet carrier is also my cable TV carrier, if that matters. Am I making something up? Whenever I think I have an idea, it turns out someone's already been doing it for years. Not too techno-savvy, not up with the times and my teenage son will probably laugh that I'm posting this dumb question, but I am capable of buying interface cables and following instructions, plugging in cables, installing software, etc. My son will reap the benefits too, if this idea is possible. Any thoughts or advice out there? Thanks. Well Laura, I don't have an answer but a suggestion. Why not ask your cable company. You could also ask people at the Geek squad at Best Buy.They came to my house once to help me out. Maybe someone in the TV department at Best Buy or another store that sells electronic gear could also help. An electronic tech who repairs computers may also be a source for information. A call to these folks could give you answers instead of physically visiting the store in person. If you have an "S video" output on the computer (a lot do) and an input on the TV just run a cable. Funny you should ask. My TV has s-video, but my laptop doesn't so I just bought a PC to TV converter box last week. However, the A/V (audio video) cable doesn't seem to project the sound through the TV. Maybe someone knows the answer to this. Also, the resolution is a little fuzzy. Have to play with it to get it to be more clear. Great for movies if the sound works, but not that great for text.